Email to order one--you can pay by Paypal or send a check. I've always liked seeing what happens to art when it gets out of my hands and into the world. BLACK BOX is like a delivery of fresh vegetables from the farm, waiting for you to make use of them. 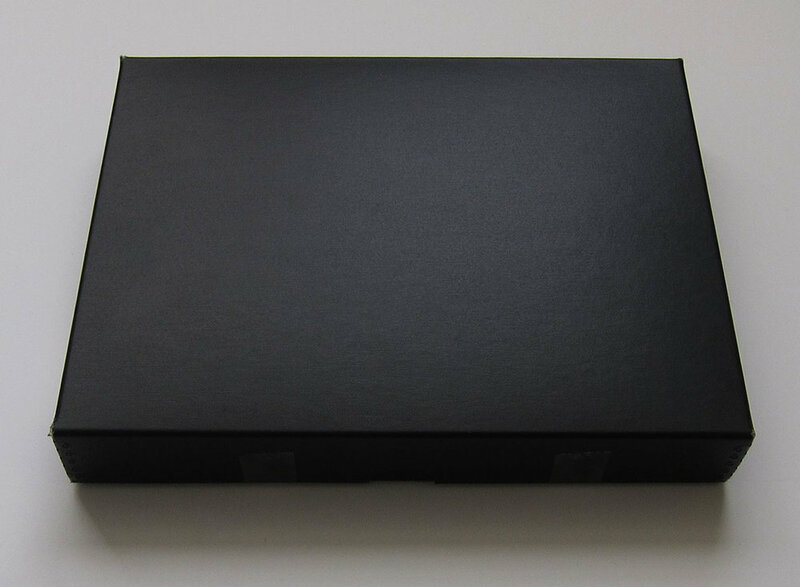 Each BLACK BOX contains a combination of more than 20 original drawings, prints, sculptures and other items. No two boxes are the same. Some of the items are more archival than others. Most have never been seen before. I have personally selected the particular combination for each box because I like them together. That said, the contents are to be enjoyed however you choose. You might tape one to your refrigerator, or frame another. Or give some away. Or you might keep them all in the box and put it away on a high shelf, well out of sight where you don’t have to think about it. Display a sculpture near the sink where you do the dishes. I’m lucky that the gallery system has been good to me, but it leaves out some of the less formal work I make in my studio on a daily basis. I see BLACK BOX as an experimental outlet for this work, and I imagine it will evolve in unexpected ways over time. Shipments will be processed once a month. No returns, no arguments, etc. To receive one by Christmas, order by Dec. 15. There is a limited supply. International shipping may take longer.